Alavi, M., Shojaei, S. (2017). Large Vacuum Rabi Splitting in a Single ‎Nitride-Based Quantum WellMicrocavity. 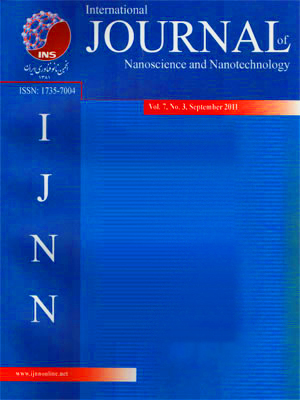 International Journal of Nanoscience and Nanotechnology, 13(4), 289-298. M. Alavi; S. Shojaei. "Large Vacuum Rabi Splitting in a Single ‎Nitride-Based Quantum WellMicrocavity". International Journal of Nanoscience and Nanotechnology, 13, 4, 2017, 289-298. Alavi, M., Shojaei, S. (2017). 'Large Vacuum Rabi Splitting in a Single ‎Nitride-Based Quantum WellMicrocavity', International Journal of Nanoscience and Nanotechnology, 13(4), pp. 289-298. Alavi, M., Shojaei, S. Large Vacuum Rabi Splitting in a Single ‎Nitride-Based Quantum WellMicrocavity. International Journal of Nanoscience and Nanotechnology, 2017; 13(4): 289-298. Here, we report a theoretical detailed study of Vacuum Rabi Splitting (VRS) in the system of Nitride Single Quantum Well (SQW) within a semiconductor microcavity. Distributed Bragg Reflectors (DBRs) containing ZnTe/ZnSe multilayers including GaAs microcavity and ( SQW at the center of microcavity, has been considered. Upper and lower exciton-polariton branches obtained through angle-dependent reflectance calculations performed by the means of Transfer Matrix Method (TMM). Large value of 20.1(23.4) meV VRS is obtained by changing the Aluminum (Indium) molar fraction at the Room Temperature (RT) for TM mode. Our findings show that SQW are better candidates rather than to achieve larger values of VRS. Our calculations pave the way towards modeling of polaritonic devices.